I made an update, completely removing Karzahni and all his elements out of the pitch. He just didn't fit at all. We can place another Karzahnian in his place in the Whispering Caves, maybe Nyalathoth? Also, I've run out of characters this is the max we can get, so I'll most likely have to either create a new pitch for the Old Artakha section, as @Bokarda suggested, or ask a mod if it is possible to extend, or even double the character limit. On another Karzahnian: Nyalathoth sounds like a good pick. Another image to the Art of this pitch, to encourage reading! 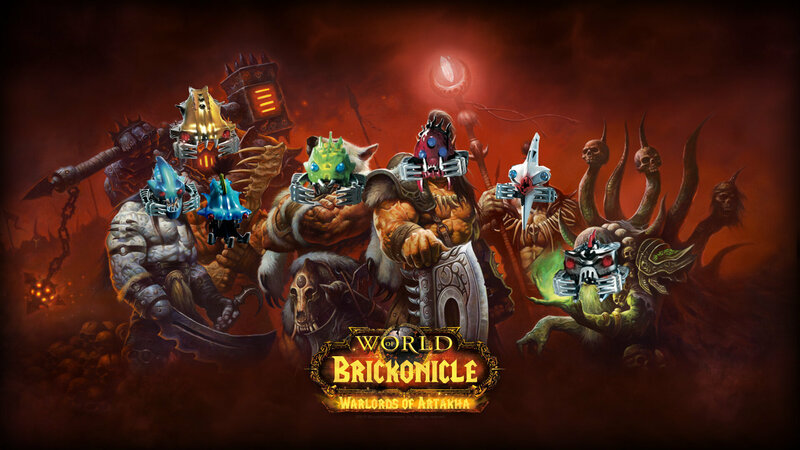 Tbh I never realized how fitting WoD can be to the Barraki. Let's hope their possible addition to the canon won't be as trashy as the expansion itself. I added few minor adjustments to the pitch, aswell as adding Nyalothoth to the rahi section. It's gotten really big! I will try to write the Warlord Period some time this week, I'll see when. Either way, you can still post your ideas! New designs for the Barraki made by @DarkMaestro! Once again thank you @DarkMaestro for this art! 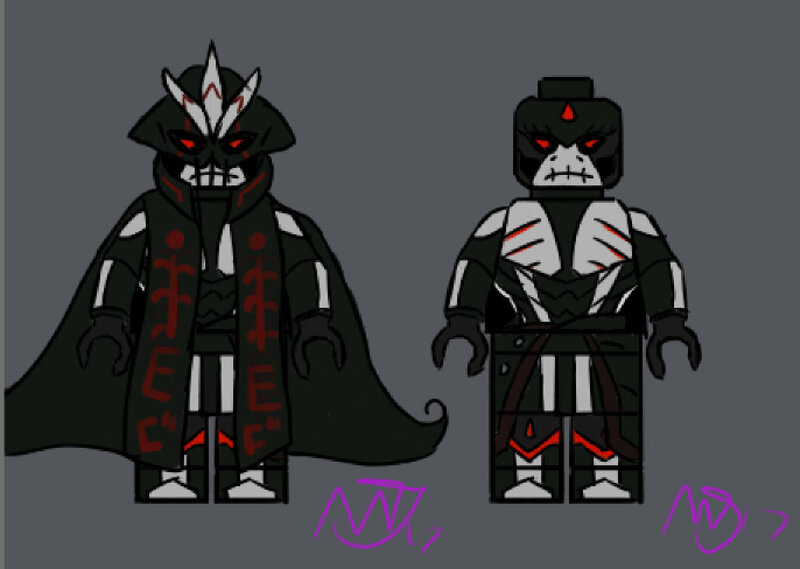 I love these designs for them! 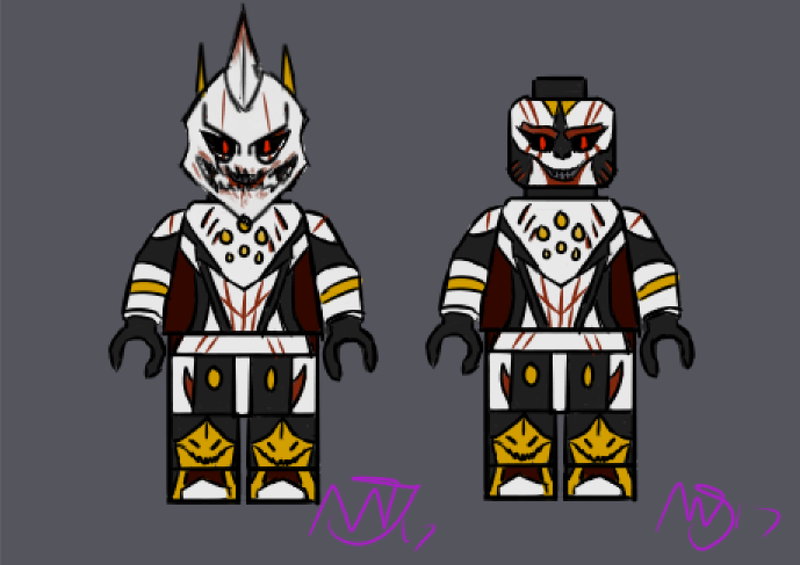 Can't wait for Carapar and Mantax! but I still think that it's odd that the same region is home to people like Onua, Nuparu and Bomonga and then someone called Mantax. In my class we have a Jonathan, a Elijah, a Peter, a Keith, a Karina, a Sarah, a Hannah and a Queenstar. Our own culture is not a stranger to having names that sound a little odd or out of place. 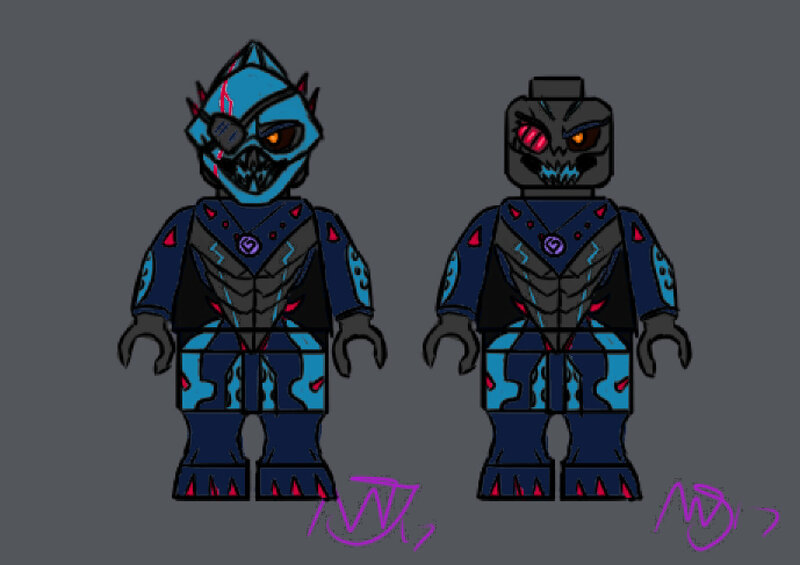 Technically still Matoran, just altered by deep-sea conditions and other mutations. Unless you mean the non-Matoran beings, which is understandable. Thank you for the kind words and thank DarkMaestro for the art. 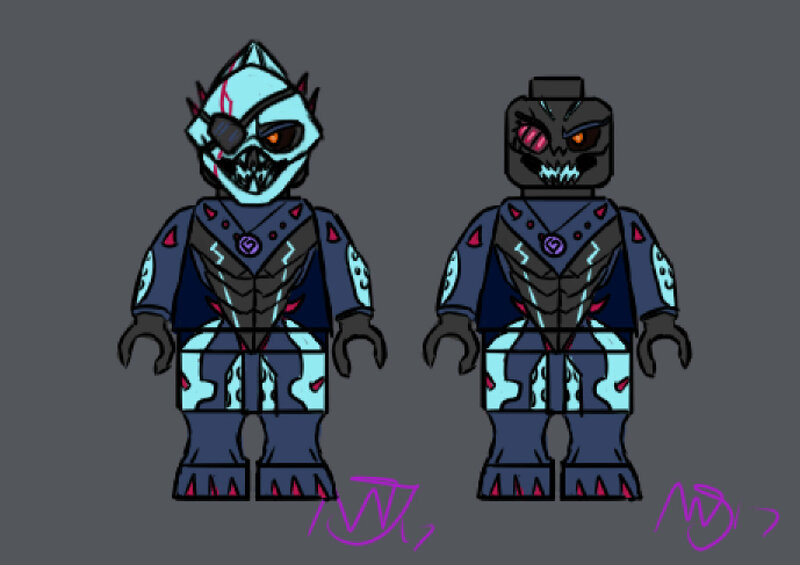 Every character in this pitch is a Matoran. In G1, the barraki were each their own separate species. Here, that is not the case. They were simply mutated to survive underwated by the prison they were kept in. As I believe that post was overlooked, I'd advise you to read this post if you have any questions regarding the pitch, I already adressed some of the more obvious ones. If you have anything to say/ask, please, do so so we can edit the pitch accordingly! Thank you for reading! The Barraki art looks really good but some of the colors seem a bit off and Pridak's gold isn't working for me. Here are a few quick color tweaks I made to DarkMaestro's amazing art. Her is my suggestion for Pridak's color scheme. Carapar! Huge and utterly terrifying! "For Carapar, I got an idea from a type of hermit crab. What they do is instead finding a shell, they stick random debris and foliage to their backs. So I thought it would be cool if Carapar had some ship wrecking on his back or something." 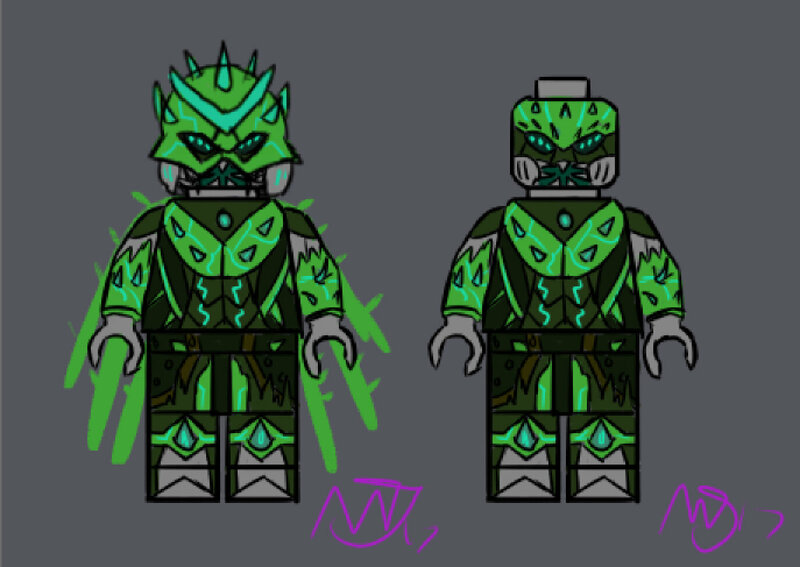 For Takadox, I was trying to recreate the translucent glowing pieces on his set; but the darker tones look pretty good. I'm not entirely sure on the changes to Pridak. Being the only "true ruler" and having a psychotic ideology about aesthetics, I imaged he would carry himself with some twisted grandeur. So he has golden bracelets and leg armor to display his self-imposed superiority. Ah, that makes sense but I don't think LEGO has any blue glowing printing. 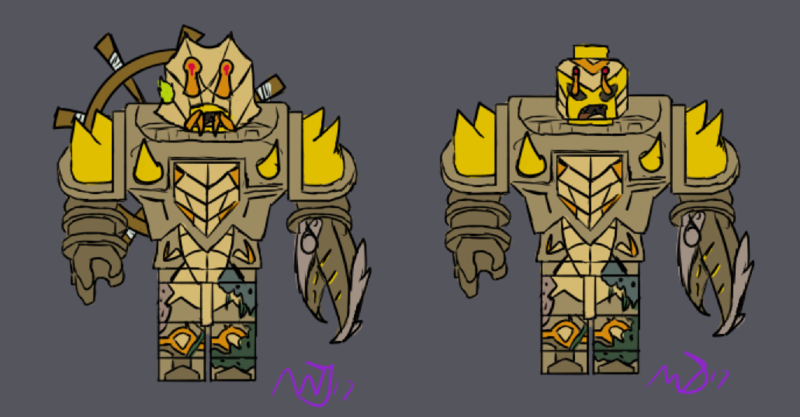 Maybe he could have transparent pieces to sort of convey a glowing aspect? I understand why you gave him gold but the colors just seem to clash too much for me. @DarkMaestro, Maybe silver could work? By the way, I love the masks and overall aesthetics of your Barraki art, it is truly amazing. @DarkMaestro Absolutely amazing job on these. If there was some way to buy these I would do it without a second thought. Ooooo that silver looks good; I like it. @AntrozT6, use this design instead. He looks way more imposing than he actually is, but that may not be a bad thing! fixing the Carapar and Mantax images mixup. Moving the "Old Artakha" section to THIS post below, to free up space. AND MOAR ON THE WAY! I dont really like the 2 bodies thing, how about a new mold for the arms? I believe we do with what we have. 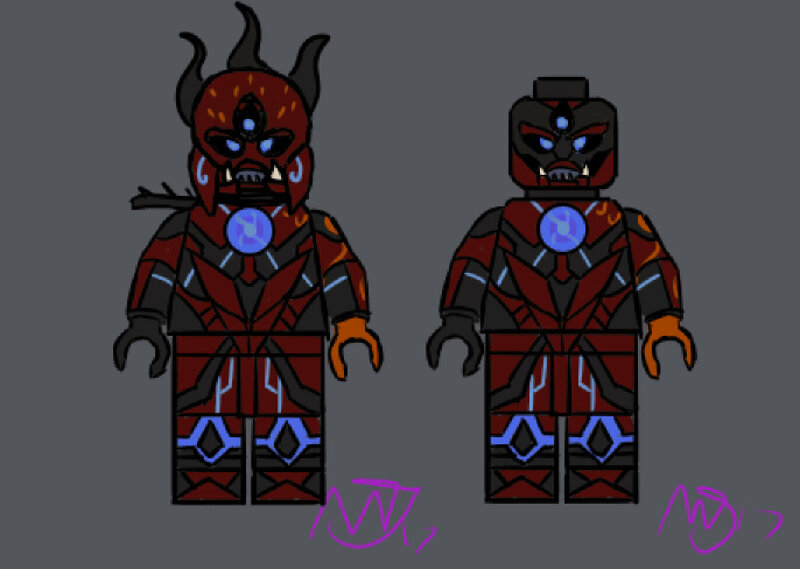 This is the style Garmadon from ninjago is built in, and he has 4 arms aswell. I mean, I could ask DarkMaestro to do just two arms, or try to do some new one-piece with attachments for 4 arms, but.. It does add a lot more uniqueness to Nocturn, doesn't it? More than simple colour, it can make the kids like him a bit more, he would just have to be advertised as what he is, a dumb pawn of a mastermind named Takadox.